Sports are becoming more and more competitive, especially in youth sports. With this increase in competitiveness, kids are starting to lift weights. I get asked a lot about the right age for young athletes to begin a weightlifting program. The research says ,with professional supervision, that weight training can improve muscular strength, endurance and decrease the risk of sports related injuries (Chaouachi 2014). I find it funny that parents will tell me that their kids should not lift weights, but they will let them play tackle football, give them Red Bull energy drinks, or let them perform unsafe breath-holding drills at 8 years old. We need to understand that if your child can demonstrate perfect form during body-weight exercises, then we progress to band work and then weights [see Dryland Dos and Don’ts and Strength Training and Swimming]. As a strength and conditioning coach, my number onr goal is to do no harm. When I watch teams do their swimming dryland programs, it honestly terrifies me to see what coaches are putting their kids through. Problem: It scares me to see swimming dryland programs. I know low budgets make hiring a strength and conditioning coach a problem, but that does not mean that the coach has to run the program. Just because you know how to work out, were a good swimmer, or “it’s how you lifted” does not mean you know how to teach it. Even if you are a trainer who received your certification in a weekend online does not make you a professional. Coaches are meant to teach their athletes in the pool or on the field. Strength and Conditioning Coaches train the athletes outside of their sport. The body is so complex, especially when it comes to sports movements. It takes years to teach the body and how to maximize its potential in sports. Parents, for the sake of your children and their SAFETY, bring them to a PROFESSIONAL so they DO NOT GET HURT. Solution: When it comes to training anybody, before they even touch weights or exercise, we need to perform a movement analysis. This movement analysis consists of a series of movements that shows the trainer the strengths and weaknesses of the individual. These weaknesses can involve muscle imbalances, poor posture, muscle tightness and/or muscle weaknesses. Then, the strength coach should work with the coach or watch/talk with the swimmer about their weak points and strengths in the pool. The goal of programs should be designed to maintain the strengths and improve the weaknesses, IN and OUT of the pool. If you are not screening the athletes then you may avoid the weaknesses and this could lead to an injury that could have been avoided. Just because you read online that an Olympic swimmer is doing this advanced exercise does not mean your 8-year-old swimmer should do the same exercise. roper training programs are designed to start from the basics and progress when appropriate. Especially with young kids, we need to teach them how to use their bodies appropriately. Their motor skills are not even close to being developed, so why would I give them exercises like pull ups, push ups, box jumps and planks? There are many steps that you need to pass perfectly before I even think about giving you these exercises. Just teaching them how to stabilize their bodies properly and understand the basics of exercise is far more beneficial that making them do advanced exercises. It is unacceptable that young athletes should be getting hurt, when it could be easily avoided. Solution: If you are a world-class athlete, everyday person or a young kid, you will need to demonstrate perfect form by using body weight before you even touch weights. There is nothing wrong with going back to the basics. Even the best athletes in the world go back to the basics of form. When you do bod yweight squats, can you get your hips back, chest up and keep your knees, shins and ankles vertical? If the athlete can not do this correctly, does it make any sense to give him or her weights? Can you squeeze and hold your shoulder blades together when you are doing a wall push up or a band row? If you can not, then why would I make you do a push up, bench press, inverted row or pull up? Be smart and go back to the fundamentals. 3. Performing Bodybuilding or Crossfit Workouts! Problem: I see this all the time when I visit teams. I have no problem with bodybuilding, but when it comes to sports performance, this is not going to benefit you. Sure, you will look good, but will that translate to your sport? Sports involve multi-joint movements, so we need to incorporate these multi-joint movements in our programs. Exercises that use the entire body can help translate over to your sport. Decreases the risk of injuries in sports. Some examples of multi-joint exercises are squats, lunges, deadlifts, pull ups, push ups, Olympic lifts and much more. Too many times I see coaches who do Crossfit in their spare time and they are giving the exact same exercises to kids who have no business doing them. I witnessed multiple dryland sessions where 8-year-olds were performing 20 box jumps, 20 burpees, 20 clap push-ups and 20 v-ups for 30 minutes. I wonder why kids are getting hurt? The sad thing is that this is happening in a lot of places. There is nothing wrong with doing a basic program that focuses on injury prevention and working on the fundamentals. Coaches get caught up with “more is better.” Understanding what the athletes’ weaknesses are and if they are at risk of injury is way more important that kicking their butts for your amusement. If I see one more swimmer perform one rep of handstand push ups, burpees, v-ups and bent-over band row, I am going to go crazy! These exercises place way too much stress on the shoulders and low back. Solution: I have no problem with bodybuilding and high-intensity workouts, but they should not be in your swimming program. I hate to tell you, but bicep curls, tricep overhead extensions and dips have no value and they will actually do more harm than good. Your shoulder is the most unstable joint in the body, so why would we use exercises that are going to overstretch the shoulders even more? Shoulder stabilization is important for everyone (especially overhead athletes such as swimmers). That should be one of the main focuses. Also remember that burpees has no business being in a swimming dryland program. If I hear one more coach tell me that running and burpees are the only leg exercises that they do, I am going to go crazy. Coaches, if you are working your athletes hard in their sport (especially twice a day), why in the world are you going to be beat them up even more? There is nothing wrong with having a simple and effective program. Problem: This is a topic that is very popular in the research field and is not being utilized my coaches or trainers. Depending on where you are in your season and your development, this is what you need to think about when you create a program. Let’s say that you are in the middle of the summer season. You are practicing two times a day for five days a week and one practice on the weekend. For swimmers, that is a ton of stress placed on the body (especially on the shoulders). After understanding that, why in the world would you have dryland for five days a week? More does not mean better! Having a program that involves two 30-minute sessions a week that involve injury prevention, and a few exercises, would be appropriate for these high-volume practice schedules. Why teams schedule two practices a day, especially with young athletes, still baffles me, but that is a topic for a different day. Kids should not be seeing COR and Dr. John for physical therapy, they should be enjoying their sport injury-free and working on sports performance! Solution: This can be a hard problem for even the best strength coaches. Everyone is different. Everyone’s bodies handle stresses differently. An easy way to help you out with designing a program is to really examine how much they are doing in practice and competition. In general, when the volume goes up in practice, the volume should go down during their dryland training. Only in the most elite athletes must the envelope of overreaching and training be pushed and this is the 0.001%. This does not mean the we have to give them completely easy exercises. This could mean we do two to four main exercises that utilize the whole body. This will not only limit overtraining, but you can get a solid workout in a short amount of time. If your program is designed to last an hour, then cut it down to 20-30 minutes. The body does not need that much to grow. Overtraining is a big problem among athletes and this can negatively impact their performance. Working with athletes and seeing them grow and get better is the reason I get up in the morning. My number one goal is do no harm. There is no reason why kids should be getting hurt during their dryland programs. Provide your athletes with safe and effective exercises should be on your mind when you write your programs. Chaouachi A, Hammami R, Kaabi S, Chamari K, Drinkwater EJ, Behm DG. Olympic weightlifting and plyometric training with children provides similar or greater performance improvements than traditional resistance training. J Strength Cond Res. 2014 Jun;28(6):1483-96. 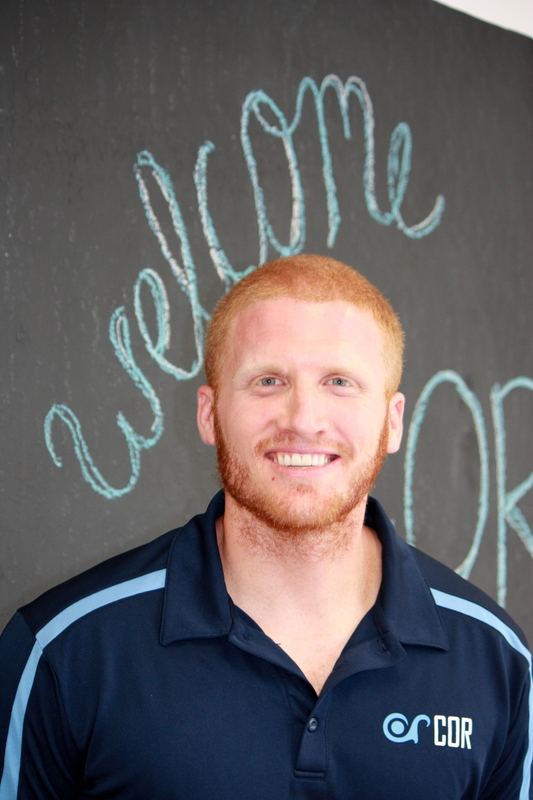 Chris Barber is the head strength coach at COR, a physical therapy and performance facility in Santa Clara, California. This is why we hired a professional trainer for my daughter. Is it safe to say sometimes some of us need it in our faces to get the message? He is having a direct conversation with those coaches who do the things he says shouldn’t be done, for the rest it’s just the information that he shares that is important. The guy isn’t wrong about it (debatable about dips imo) and I understand the frustration, but he does kind of write it like his kid was hurt by an untrained coach ha ha.. but in reality he’s also trying to sell his program. No I get that. But the “parents take your kids to a strength coach instead of the idiotic coaches you trust them with in the water” attitude is a bit much haha. Thank you for your response. I can see why you may think this is aggressive but too many times I see young athletes getting hurt but doing inappropriate exercises. As strength coaches and/or coaches we need to remember that these kids are young in their careers. They will have plenty of time to do advanced exercises but it really hurts when you see these athletes who are getting hurt when it could be easily avoided. Our main objective is to do no harm. Why do you believe burpees are so bad? Very curious. I do not think burpees are the best because if you do not have the proper core strength, your hips will drag and this places a ton of stress on the lower back. If you are doing a couple then thats ok but too many times I see athletes doing 5 sets of 20 burpees. If you are going to do them, make sure their core strength is spot before attempting them. Another issue is many swimmers simply can’t perform a push-up and/or squat jump (and landing correctly). The combination of poor core stability, shoulder stability and hip strength makes it an extremely challenging exercise. Once again, no exercise is inherently wrong, but with poor form and volume, it makes the burpee a risky exercise, is it risk it? Chesleigh Murray Lee interesting read. I don’t care what this article says, I’m gonna keep doing burpees and v-ups! How about the problem of being too sore in practice?